Due to concerns over threats to religious freedom, both at home and abroad. The Catholic bishops called for a “Fortnight for Freedom,” a 14-day period of prayer, education and action in support of religious freedom, from June 21 to July 4th. 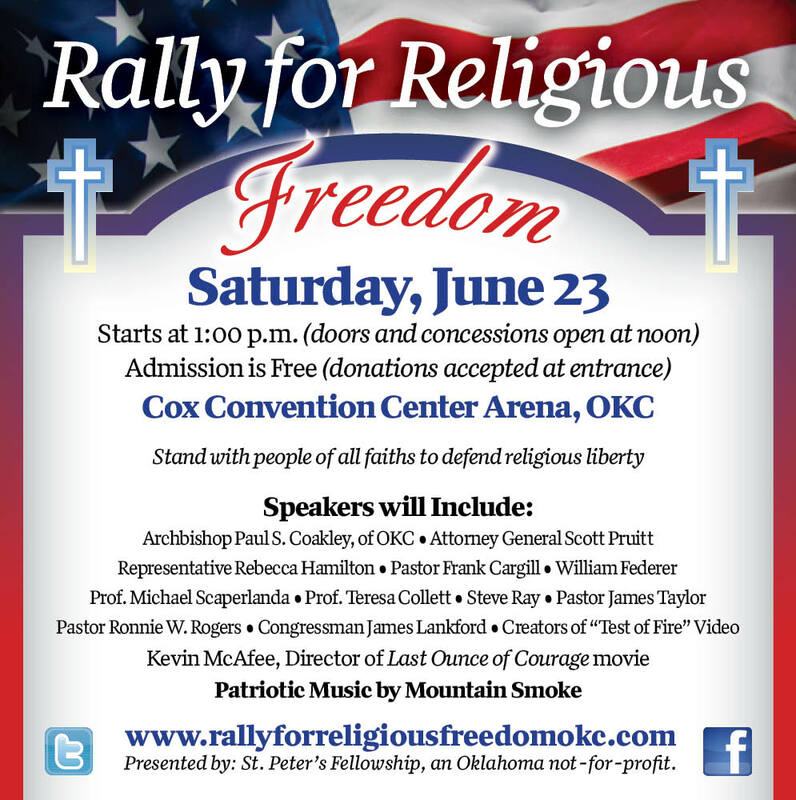 Catholics in the Archdiocese of Oklahoma City are answering the call and are organizing a “Rally for Religious Freedom!” They invite all Christians, Jewish brothers and sisters, people of other faiths and all who wish to defend religious freedom! Several speakers will address religious liberty, why it is so important to our country, how it is under threat today and what we can do about it. Speakers include: Archbishop Paul S. Coakley of OKC, Attorney General Scott Pruitt, Representative Rebecca Hamilton, Pastor Frank Cargill, William Federer, Prof. Michael Scaperlanda, Prof. Teresa Collett, Steve Ray, Pastor James Taylor, Pastor Ronnie W. Rogers, Congressman James Lankford, the Creators of “Test of Fire” video and Kevin McAfee, the director of Last Ounce of Courage movie. A mass will be celebrated Friday June 22nd at 6 p.m. at the Cathedral of Our Lady of Perpetual Help. 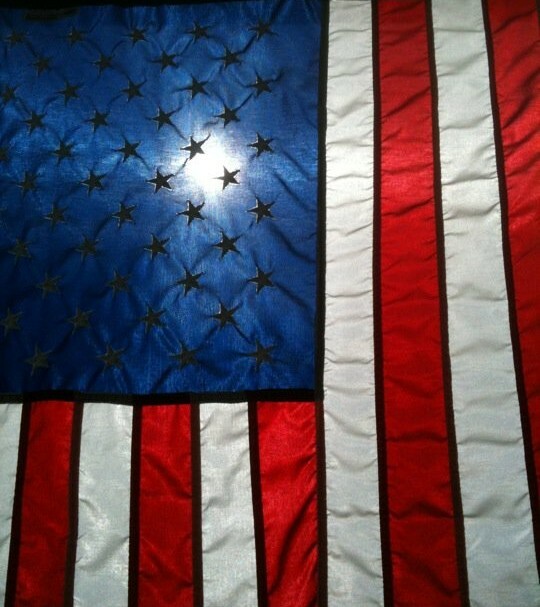 May God bless us and protect our religious liberty. This entry was posted in Uncategorized and tagged fortnight for freedom, rally for religious freedom. Bookmark the permalink.